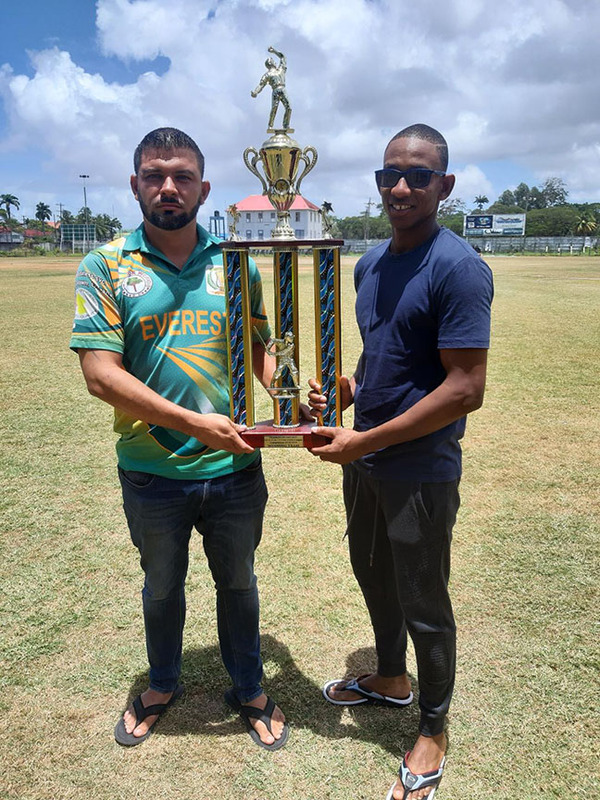 Everest’s Dwayne Adams and GCC’s Devon Lord have one hand on the GCA/NBS Second Division 40 overs title. Today will feature the first of two finals of the weekend where the Everest Cricket Club (ECC) will take on the Georgetown Cricket Club (GCC) in the New Building Society Second Division 40-over final while tomorrow will see GCC clashing against the Demerara Cricket Club (DCC) in the Noble House Seafoods Under – 19 Generation Next final. The battleground for the matches will be at DCC and GCC respectively. Today’s fixture between ECC and GCC is set to bowl off from 14:30hrs and patrons are urged to come out and support what is expected to be a thrilling contest under lights between two well-oiled teams. ….